When accessing Intrabench for the first time there is a three stage process to get you started. The first page will ask you to enter the company details: name, address and contact details. This is required to setup your personal Intrabench. You will be asked to enter the details of the admin, the contact details of the person who will manage the administration of Intrabench. 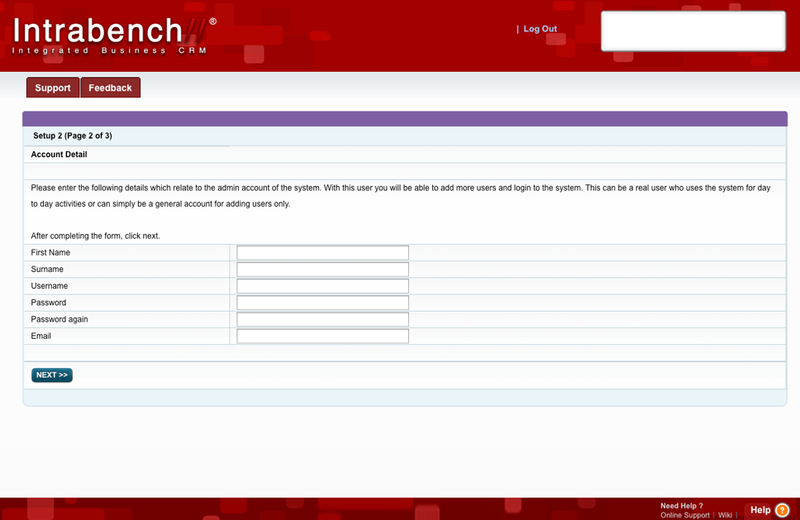 This is also required as it will be the first user entered into Intrabench. 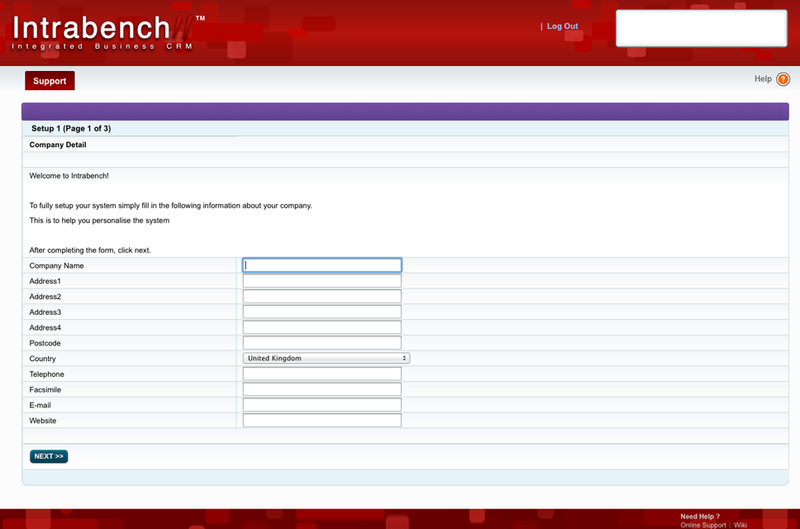 The next page will list the terms and conditions of using Intrabench. 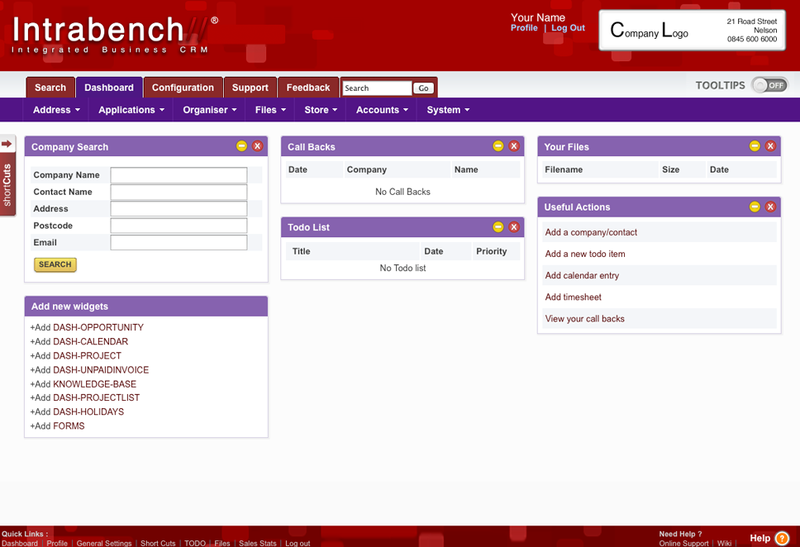 The next page will list the terms and conditions of using Intrabench. This final step will welcome you to Intrabench and provide links to features you may need first such as importing contacts, adding users and uploading files. It is recommended you complete these tasks first to get the full benefit from Intrabench.